Graham Field moved into Halstead in 2013 with his wife and daughter with the aim of re-opening the Grace Baptist Church in Colchester Road. The Church had closed a few years ago when it became too small to continue. 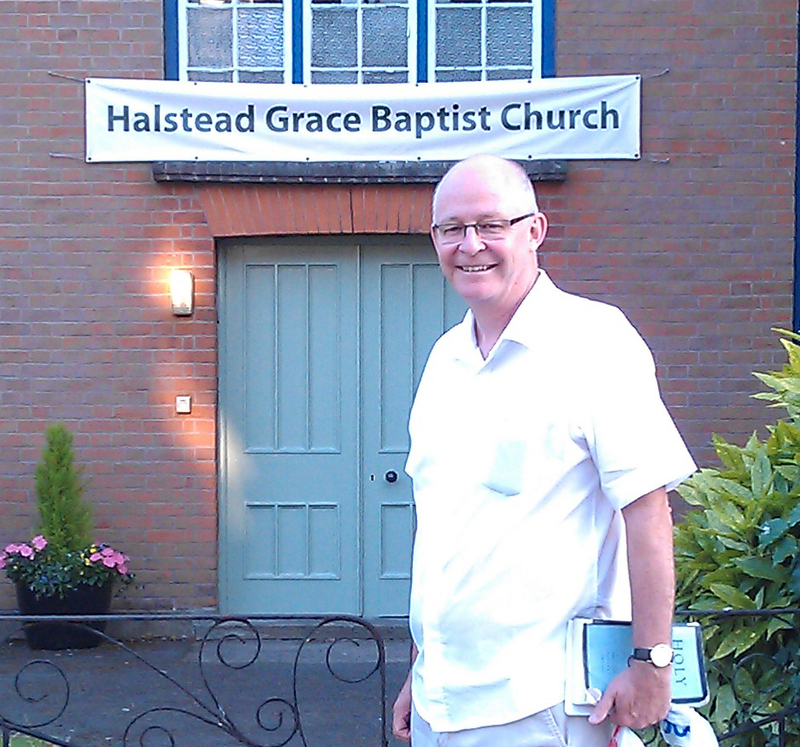 The Church that Graham came from in London (Forest Baptist Church in Leytonstone) together with the Grace Baptist Partnership are supporting Graham in this new venture. Graham was brought up in India (and became a Christian there) and apart from 2 years completing his schooling in Ipswich, has spent all his adult life in London. He has worked as a surveyor for most of those years but has always been actively involved in serving in the local Church since he first became a Church member as an 18 year old. He is enjoying Halstead and getting to know people in the town. If you would like to speak with Graham about spiritual matters he can be contacted on 07775706718 or by email at gfield85@gmail.com.